Every so often, a product comes along that excites me. It can be for different reasons, sound, control, ’newness’ etc. This one excites me, frankly because it looks like something Doctor Who might play in his spare time…. 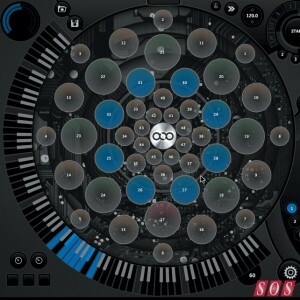 Well, it’s an expressive, electronic musical instrument that is compatible with music production software, allowing you to compose, produce or perform. 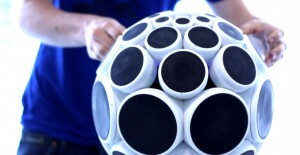 The interaction design of the 48 tactile pads allows sound to be triggered and manipulated with subtlety. Each pad is pressure and velocity sensitive and fully compatible with MIDI polyphonic aftertouch. 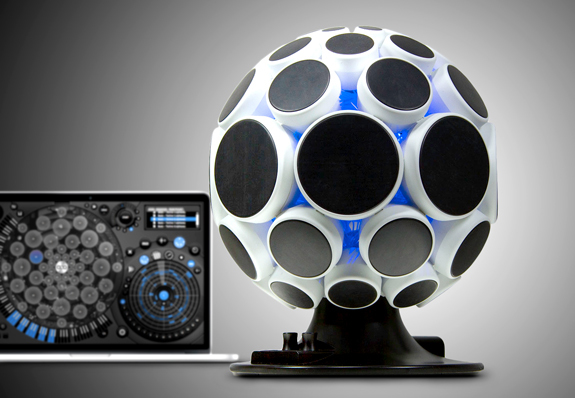 The AlphaSphere is MIDI compatible, so you can use it in conjunction with all existing music production software. 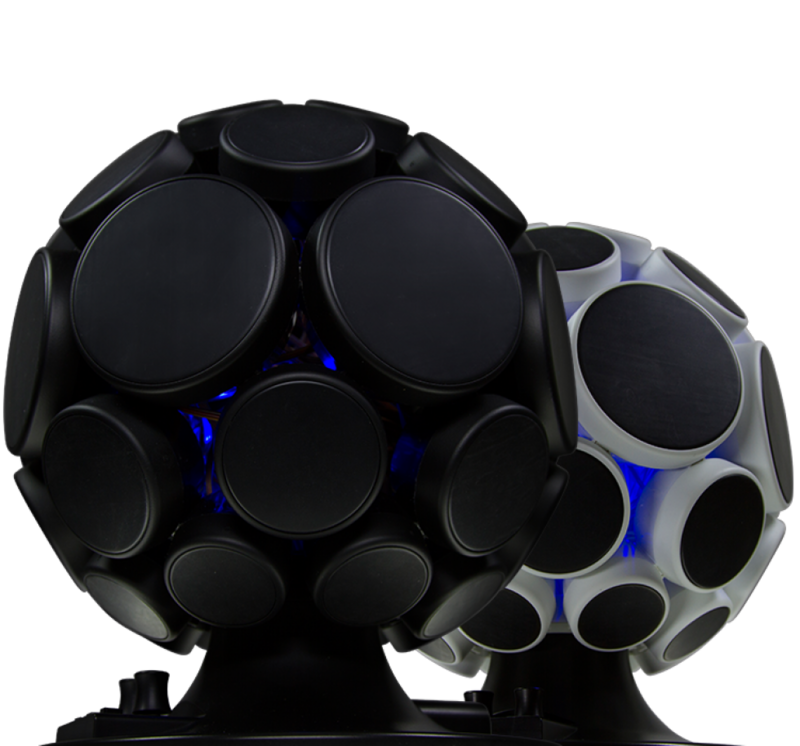 It is also OSC compatible and can be enabled as a controller for lighting and visual applications. Designed with musicality in mind, a series of logical notational arrangements can be mapped around the spherical hexagonal lattice form, representing a departure from linear musical convention. 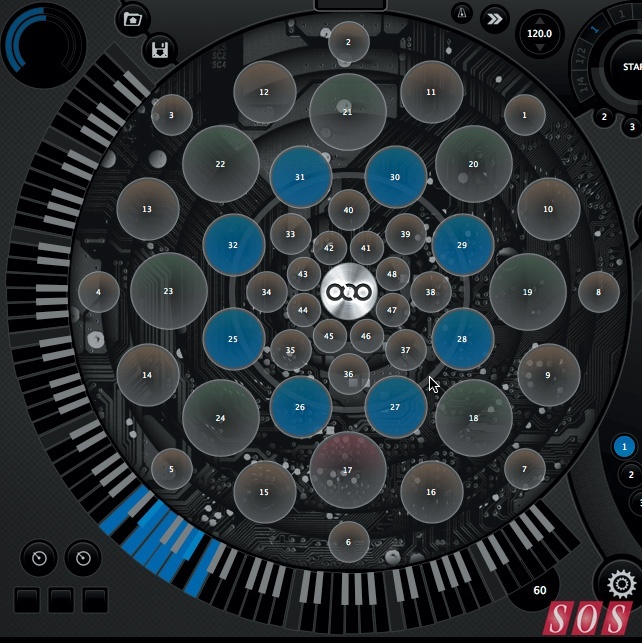 Explore the playing surface in combination with the accompanying software AlphaLive to unlock new musical ideas and your create own perfect ergonomic instrument. All in all, this is a new MIDI musical instrument, that captures the imagination, and when you finally see it live, it makes you want to play it!